All games have an element of chance. Can skill and knowledge also play a role? We all know that gambling involves risk. For some, that’s what makes it fun. But it’s important to know that at its most basic, gambling is based entirely on the unpredictability of the outcome. So what roles do chance, player skill, and knowledge of the games play? For some games it is possible to improve your chances of winning by learning more about the game or by developing your skills as a player. This is because players must make decisions that can affect the outcome of the game. 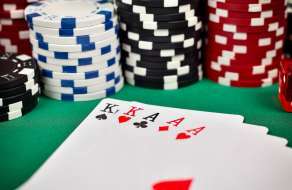 For example, there are different strategies for playing blackjack. If you understand blackjack strategy, you can improve your decision-making and your chances of winning. But don’t be fooled, chance still plays a big part. No matter your skill level, you still can’t control the hand you’re dealt. The best players in the world know when it’s time to fold. Games that fall into this category include sports betting and card games like poker, online poker and blackjack. All the lucky charms in the world won’t affect the results of games of chance. Every roll, throw or spin has an equal chance of winning or losing. It doesn’t matter if you just lost three times in a row, or 40 times. The odds of winning don’t change. The only thing you can control is how much you bet, how often you play, and for how long. That’s why many players set a limit beforehand — it’s the best way to keep chance-based games fun. Some examples of games based on chance include slot machines, baccarat, craps, roulette, keno, lottery, scratch tickets, and bingo. 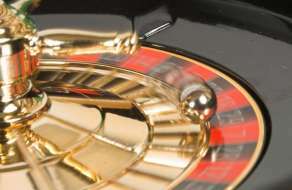 For some slot machines, bonus games may be offered where players have a chance to influence the bonus prize amount by interacting with an arcade-style video game. While skill may play a factor in the outcome of the bonus prize, chance still plays a big part.